Key information is where we want it to be, what else? 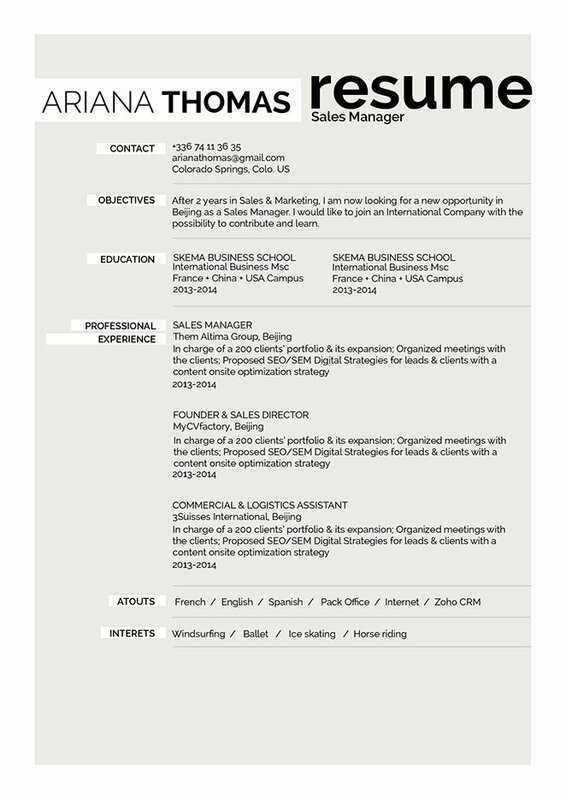 CV template to download "Enterprising"
The Enterprising Resume has all your content written with great detail. This resume template features a CV format that places all the key information in a well-organized, hierarchical layout that makes it easier to read, while still having an eye-catching touch that is sure to impress your potential employer. 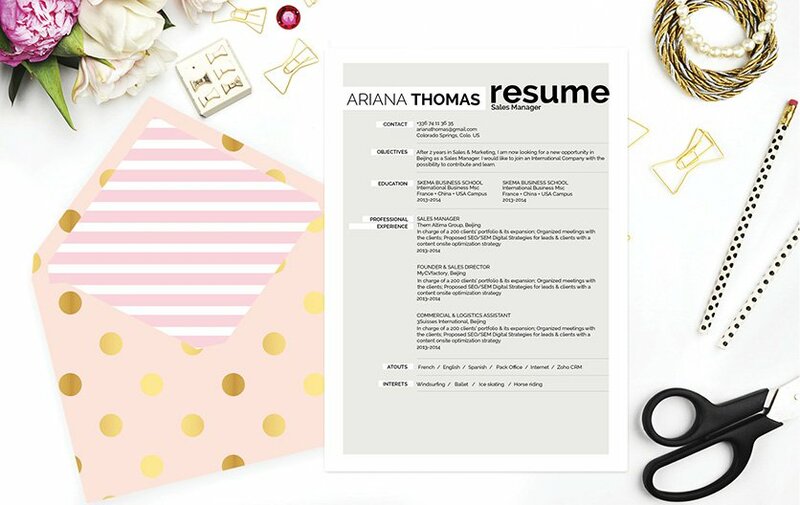 Since this resume has such a clean and simple design—it is applicable to any job type and is ideal for applicants who have a solid set of qualifications as all the content aligned to the job is readily available to your reader! A resume should get the attention of more hiring managers, impress more recruiters and get you hired faster! But how can you make your resume like this? Easy! All you need is a comprehensive and effective resume design. To create this, use professional fonts like Helvetica or Calbiri, choose a font size between 11 and 12, and use italic/bold font styles to help guide your reader along your resume. Make good use of graphics and bullets to bring emphasis on the key parts of your CV that need to be highlighted. Lastly, give your resume a logical format by using wide-margins, headings, and subheadings.